Ihre Produkte zur richtigen Zeit am richtigen Ort! As a provider of compete systems from a single source, Becker is also an expert in loading and conveying technology. Well known for robust and innovative models, these stand-alone machines complement the complete system and thus serve as the link between the other components. 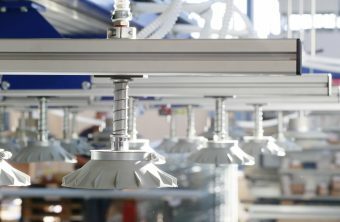 We offer our customers tailor-made systems for a broad range of parts. Alongside the standard versions of, for example, roll conveyors, angle transfers and gantry stacking devices, we offer our customers customised loading and conveying technology to meet their requirements. Robot technology, including its commissioning and programming, is also an important mainstay for Becker. Our in-house control technology ensures that your workpieces are in the right place at the right time.